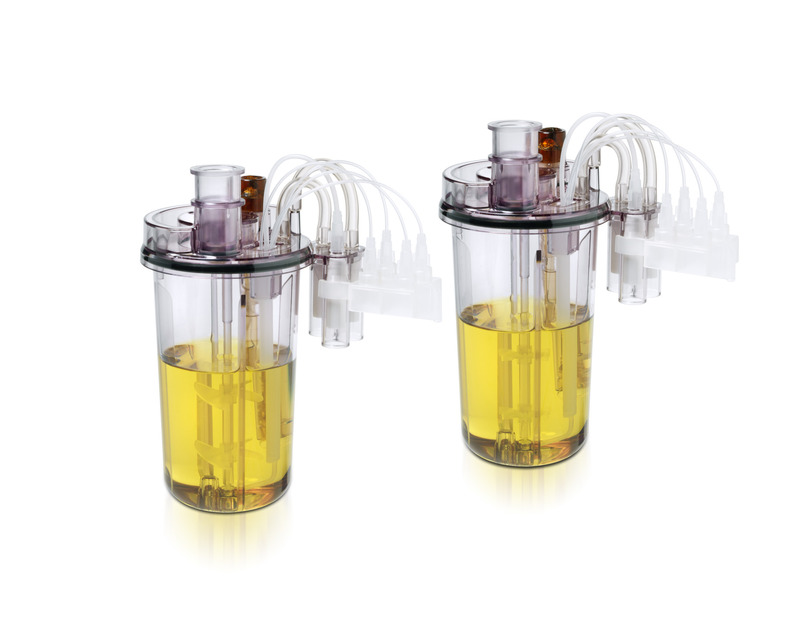 The ambr® 250 system is a high throughput, automated bioreactor system for process development with 12 or 24 fully featured single-use 100 – 250 mL mini bioreactors. You can use you ambr® 250 high throughput together with an additional analysis module. Click here to learn more about it. This is a completely integrated high throughput system with easy-connect bioreactors and flexible software that enables scientists to manage many more experiments at the same time while reducing the cost per experiment. The ambr® 250 is ideal for scaling down processes based on its fully featured bioreactor design and provides a step change improvement in lab productivity. Vessel design incorporates disposable sensors to simplify the process of system preparation. Gases can either be delivered into the headspace or sparged into the media. These delivery systems are independent and can function in parallel. The new vessel type has been developed to support microcarrier and other cultures requiring specialized mixing capabilities.